Nebraska running back Tre Bryant is nearing a return from a knee injury that cost him his sophomore season and participating with the team during summer workouts. Bryant, now a junior, started at running back for the Huskers last season, tallying 299 yards and two scores in just a game-and-a-half of work. He left during the second half of Nebraska’s Sept. 9 game against Oregon with a right knee injury and never returned. In October of last season, Bryant had “corrective” knee surgery to address the issue in the hopes that he would be ready to go for the spring, but neither a definite timetable for recovery nor a specific injury diagnosis was offered. Husker fans shouldn’t expect anywhere near the same workload he received last season when he carried the ball 31 times in the season-opener against Arkansas State and then another 20 times in an abbreviated second game. 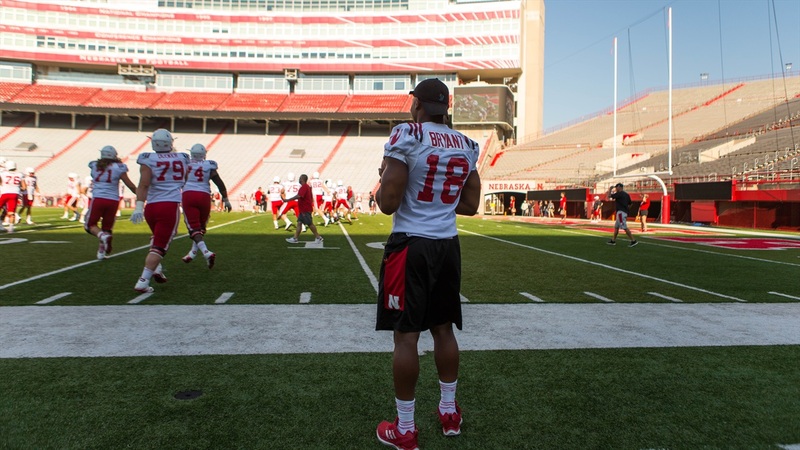 It probably won't even be necessary; Bryant added that the Husker running back room is as deep as it’s been. With the additions of JUCO back Greg Bell and incoming freshmen Maurice Washington and Miles Jones to a room that already feature the likes of Jaylin Bradley, Devine Ozigbo, Mikale Wilbon and Wyatt Mazour, the Huskers could look for more of a balanced approach compared to last year’s initial attempt to roll with one workhorse back. Before spring football began, head coach Scott Frost said the Huskers are taking a measured approach with Bryant. In April, Bryant posted a before-and-after video on Twitter of himself running. Rehab has been a grind but he’s excited to see the light at the end of the tunnel. The Huskers will open their 2018 season at home against Akron on Sept. 1 at 7 p.m.